Bring the magic of The Cabiri to your next special event! Our dancers, acrobats, stilt walkers, fire performers and aerialists are experts at bringing unforgettable experiences to audiences worldwide. 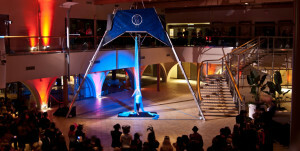 From large-scale gala celebrations to private gatherings, the Cabiri make events magical and memorable with their awe-inspiring artistry and athleticism. 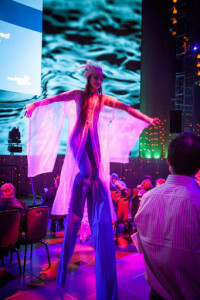 The Cabiri are available for bookings of any size – from a stilt walker serving hors d’oeuvres at your wedding reception to an ensemble of ten acrobats and aerialists creating a big splash at your next corporate party. The Cabiri are based in Seattle, Washington, United States but have the capacity to travel to any location internationally. We look forward to hearing from you about your event. Please email us or visit us on Facebook to learn more about our work.